Whoever wishes to read old German documents faces the problem of Kurrent script and its variations, depending on the personality of the writer. Using the font Deutschkurrent, one can typeset the document digitally to keep the general look of the writing whilst making the text copyable (to switch the font into a readable Latin font). 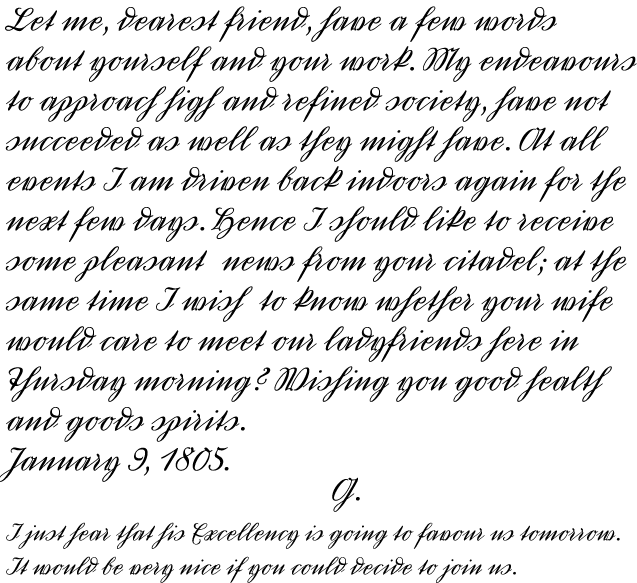 Since the font also contains the appropriate Latin glpyhs, one can even type the document in readable letters while keeping the distinctive appearance of the writing.